Dr. Ahmad Kaikaus joined the Power Division in May, 2014. Prior to his joining, Dr. Ahmad worked for 3 years as the Deputy Chief of Party of the Policy Research and Strategy Support Program (PRSSP) at the International Food Policy Research Institute (IFPRI). He has a unique combination of civil service experience in a developing country and high academic accomplishments with solid empirical research contributions. His civil service career provided him opportunities to working in diverse places encompassing both rural and urban areas, regulatory and development agencies, and local government as well as ministerial positions. His academic and research background, on the other hand, made him well conversant of the development policy perspectives. Dr. Ahmad received his Master of Arts degree in Development Economics from the Center for Development Economics, Williams College, Massachusetts, USA, and PhD in Public Policy and Political Economy from the University of Texas at Dallas, Texas, USA. His research focus covers interdisciplinary subjects such as governance, poverty, development, labor market, migration, energy, etc. Dr. Ahmad has published research papers and survey reports for IFPRI. His one of the significant journal articles was in the World Development Journal on the structural transformation in Bangladesh economy. He has expertise on developing questionnaires and sampling frames for surveys, data analysis, and statistical software in addition to his capability of policy analysis. 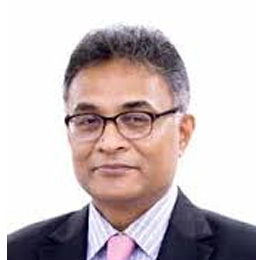 Dr. Ahmad Kaikaus joined the Bangladesh Civil Service (Administration) cadre on 21 January 1986. He has worked different levels of field administration, on deputation in several organizations, and for 4 (four) ministries at the central level. Kaikaus also worked as part-time faculty at Collin County Community College in Texas, USA and at the American International University, Bangladesh. He regularly attends as guest speaker at public and private training institutes.